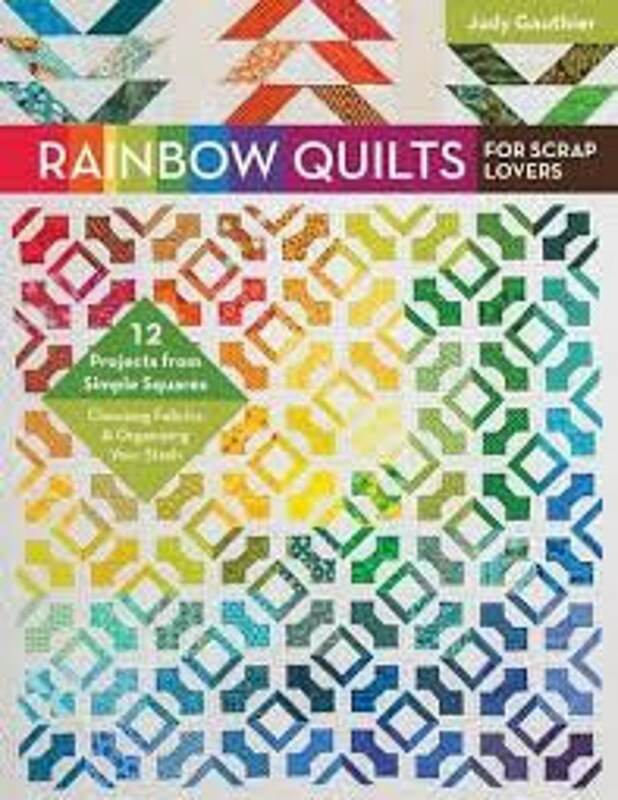 Use your scraps in ways that you never ever would have thought you could to make 12 beautiful, modern quilts. Learn how to use older fabrics and make them into more modern looking quilts. There is also information on how to use those odd prints that are difficult to use in scrap quilts. Every quilt in the book is made from a 3 1/2, 4 1/2 or 5 1/2 inch square or combinations of them. There is a unique cutting system that will change how you look at your scraps! Fabric I couldn't find locally, fast shipping, in great condition. I'm so glad I found Grand Canal! I made a small cutting error with my kit and I needed a fat quarter to finish up! And fast shipping, too! Thanks! It is so cute and came fast. Payment is by Paypal or credit card only. You may cancel within one business day, but because our shipping is done in such a timely fashion, we may not be able to retrieve a product once it is shipped. Once the product is shipped you may not cancel. Like a brick and mortar fabric shop, there are no returns on cut goods. There are also no returns on printed goods such as patterns. If something arrives damaged, I will replace it if you tell me within 1 day of receipt of product. I really don't want to replace an item that was damaged once it is in your home. I will replace damaged items that are reported as damaged within 24 hours of the receipt of product. After 24 hours they will not be replaced. No returns on cut goods, regardless of the length. **** I use current technology in photographing the fabric. I have a MacBook Pro. When I upload a fabric onto my computer the actual color of the product and the colored photo on the computer are the same. I can't control the quality of the images on a computer that the customer is using. I will not return something if it is not the color that you thought it would be. I would never intentionally misrepresent anything. It is my responsibility to make the customer happy, so my images are accurate! I will provide you with a tracking number when the item is sent. It is the responsibility of the purchaser to at least attempt to track the product before telling me that it hasn't arrived. I use the USPS and rarely have anything not make it to it's destination. Most fabrics, regardless of the amount ship for a flat fee of $4.25. There are exceptions to this ie: heavy bulky fabrics like Cuddle, Minky, some flannels. Why was my fabric sold out when it was listed on the site? Frequently people will put something in their cart and leave it there for several hours or days. It can be sold out in that time period, so, it's best to buy it when you see it!